You may be busy preparing your home, family or even wardrobe for winter, but don’t forget that you should be preparing your business, as well. 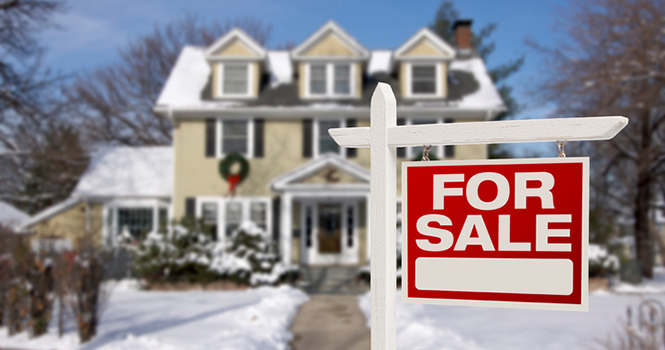 As the market slows down during the colder months, it may be more difficult to generate new listings. Because of this, now is an opportune time to look for FSBO and expired listings to work with. Statistics show that nearly 92 percent of sellers who try to market a home on their own fail and many expired listings eventually go back on the market, which presents a lot of opportunity for you to find new listings. It’s up to you to show the value you offer in a selling situation. Here are three steps to help you prepare to meet with this kind of seller. When a listing expires, it’s often because the property wasn’t marketed or priced properly. This is an optimal opportunity to show sellers how you’re different (and better) than their previous agent. Create a marketing plan and present it to the seller, showing them how you would market their home. Include points about establishing a strong web presence, your use of social media, sample advertising ideas, etc. Your marketing plan should show how you can connect with potential buyers and create opportunities to sell. Similarly, the No. 1 reason someone chooses the FSBO route rather than hiring an agent is because they don’t want to pay commission fees. However, these sellers rarely understand the time and effort agents put into a transaction. Sure, those FSBOs may be saying they don’t want an agent now, but that mindset may change once they start to see how much work it takes to sell their home. Just like sellers with expired listings, approach FSBOs with a marketing plan that shows how much work you’ll put into selling their home. Before making contact with the seller of a FSBO or expired listing, prepare exactly what you’re going to say. Remember, rather than focusing on the logical reasons these people want to sell their properties, try to find the emotional reasons, and use that information to turn them into a client. For example, if you’re working with an expired listing, plan to ask the sellers about their previous experience. If they worked with an agent, ask questions about what that person did to try to sell their home: did they take high quality photos of the interior and exterior, use social media to promote the listing, advertise appropriately and recommend staging options? If it’s a FSBO property, ask the sellers why they didn’t work with an agent the first time: was it a financial issue, did that have a bad experience previously or are there any other factors influencing their decision? When you’re prepared, it’s time to contact your prospective clients and let them know you’re here to help. Start by sending the sellers an email highlighting your qualifications. For FSBO properties, explain how you can take away the stress of home-selling, sell their home more quickly, and likely get a better price than they could on their own. When you’re able to speak with these sellers in person or over the phone, put your script into play. Build trust and discover why they’re looking to sell, then go for what Chris Smith, author of The Conversion Code, calls the “trial close” with a “here’s what happens next” question to keep the process moving forward. For example, you could ask “Does Wednesday or Thursday afternoon at 3:00 p.m. work better for my photographer to come by and start taking pictures for marketing materials?” This will help the seller understand what you are going to be doing for them and make them feel more secure in the final steps of the process to list their home. If sellers aren’t prepared for the trial close or insist that they want to work alone, wish them the best and give them some advice that could help. As time goes on, if they aren’t able to sell, they’re likely to remember you as someone who offered encouragement and call you for help. If you’re looking for ways to connect with transaction-ready sellers in your local market, check out Homes.com Local Connect. Local Connect positions you in front of active sellers in your target markets with branding that showcases your photo or logo, phone number and endorsements. Call us at 888-651-8956 or send an email to productinfo@homes.com to learn more!